Source: Maj. Chronicle Fell, Kings Mountain National Military Park, Blacksburg (SC). Photo courtesy of Adam Domby. This uncut, thumb-shaped and 3.5 foot high granite boulder is from Belmont, North Carolina, the hometown of Major William Chronicle. A bronze plaque is affixed to the northeast side of the boulder. The marker was erected by the Major William Chronicle Chapter of the Daughters of the American Revolution. Mrs. W. R. Stowe donated the granite block from William Chronicle's homestead. This monument was dedicated on June 18, 1930 by the Major William Chronicle Chapter of the Daughters of the American Revolution from Gastonia, North Carolina. Nearby South Carolina DAR chapters of King’s Mountain, York, and Lincolnton were also invited. The event was led by Mrs. James W. Atkins, and the DAR State Regent, Mrs. Charles Whitaker of Southern Pines, was the guest of honor. The event began with an invocation by Dr. B.A. Bowers of the First Baptist Church in Gastonia, followed by Mrs. Whitaker, who gave the principal address about the ideals of patriotism. She accepted the marker on behalf of the State. Then Miss Elizabeth Mason of Belmont read her prize-winning essay on Major William Chronicle. The marker was unveiled by Dorothy Chandler and George Wilson, Jr. Standing nearby, George Anderson held an American flag, and a rifle once used in the battle by James Baird, a soldier from Gaston County, rested against the marker. Boy Scout Jack Atkins played “Taps” on his bugle bringing the event to a close. After the ceremony attendees “enjoyed a real old-time fried-chicken picnic” organized by Mrs. S.S. Shuford. This marker is one of three Chronicle markers in a close cluster near the walking trail. It reputedly marks the location in which Major William Chronicle was killed during the battle of King’s Mountain. 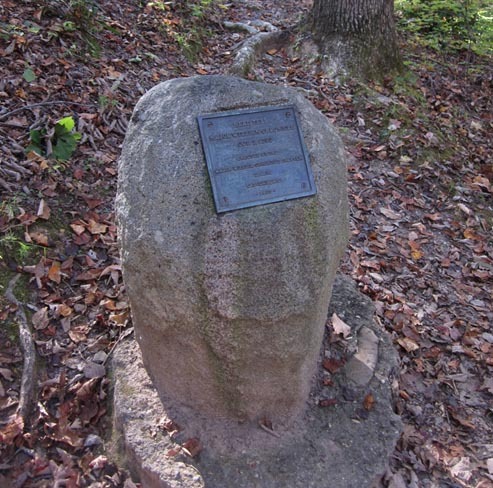 The marker is located, along with numerous other memorials, along a 1.5 mile walking trail around the Kings Mountain Battlefield on the eastern side of the park. The 1815 Chronicle Marker and the 1914 Chronicle Marker sit side by side across the trail from the Major Chronicle Fell memorial. The Kings Mountain National Military Park address is 2625 Park Rd, Blacksburg, SC 29702. 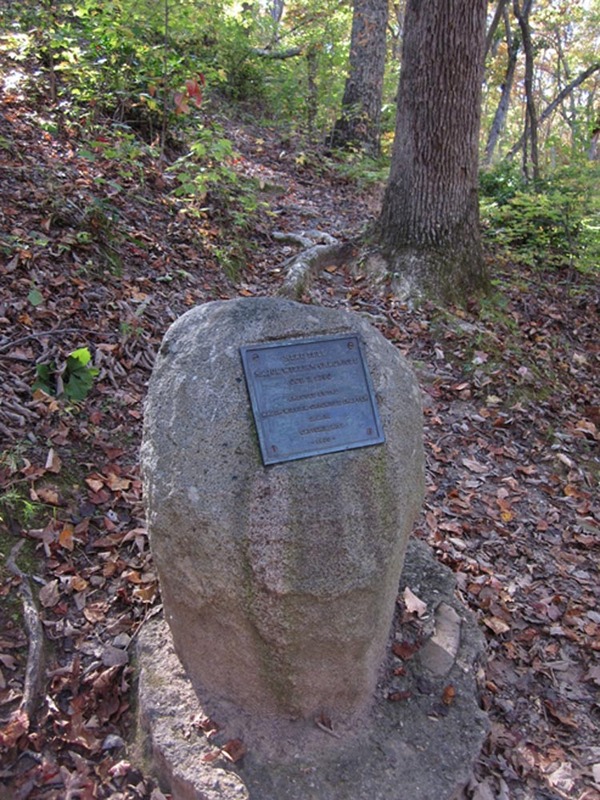 The marker is located in the heavily forested landscape of the park.